Those who are planning their vacation in the Philippines will surely have heard about Cebu, the Queen City of the South, and all its heritage attractions and pristine beaches. But more than these attractions, locals are just as proud of the thriving food scene on the island. With unique flavours that they have made their own, it’s no wonder that Cebu cuisine has built up its own fanbase over the years. If you are looking for a place that has it all, then look up Cebu and make your way to this tropical island. 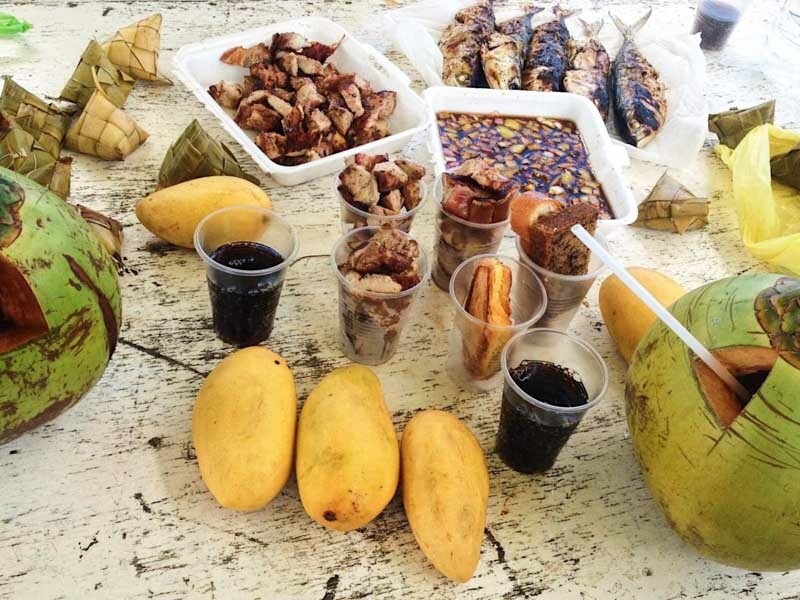 For now, let’s get to know the top 10 local foods to eat in Cebu Philippines during your stay! Rice cannot get any more portable than this. 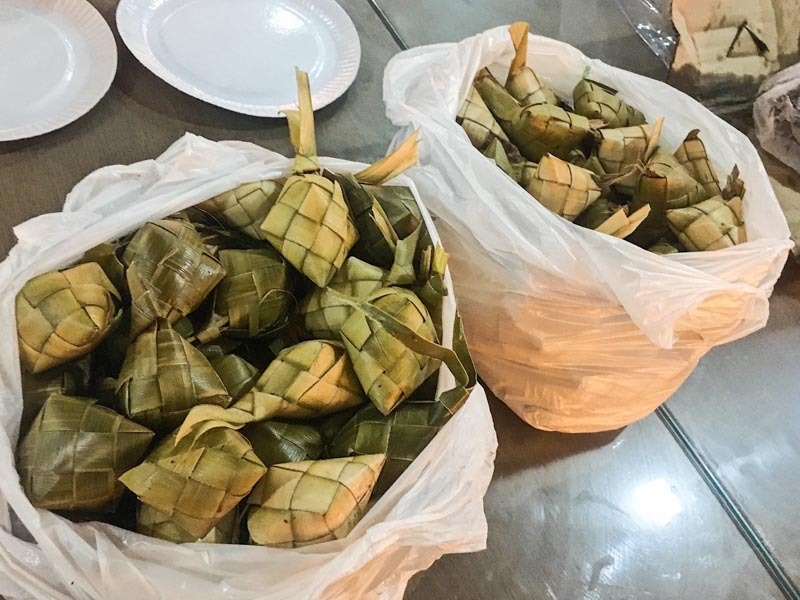 More commonly known as “hanging rice”, Puso rice is boiled and wrapped in coconut leaves, and you will most likely notice them hanging in batches in local eateries. The coconut leaves impart flavour and serve as an easy package that you can carry anywhere. The versatile Puso rice can be paired with street foods, Lechon, or anything else you can get your hands on. Available at almost any decent restaurant in Cebu. 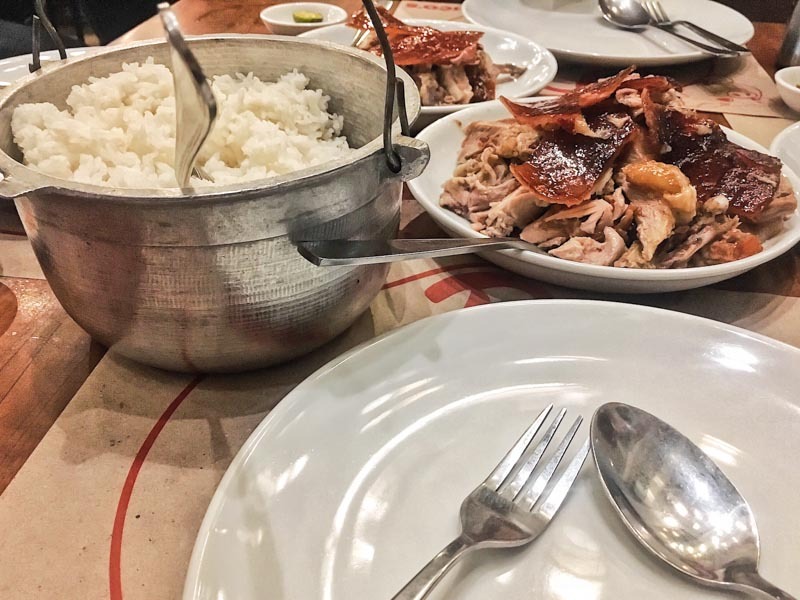 Cebu claims to have the best-roasted pork in the Philippines, offering up Lechon as proof. This dish is quite the local trademark for Cebuanos. You can buy a whole pig, and have them chop it into manageable pieces. Some Lechon houses have made provisions so that their product can be carried through air and land travel. Make sure to ask about it, as this makes for one unique souvenir. Coming from the Spanish word which means “stew pot”, Pochero is another dish that you should watch out for in Cebu, especially during the rainy season. 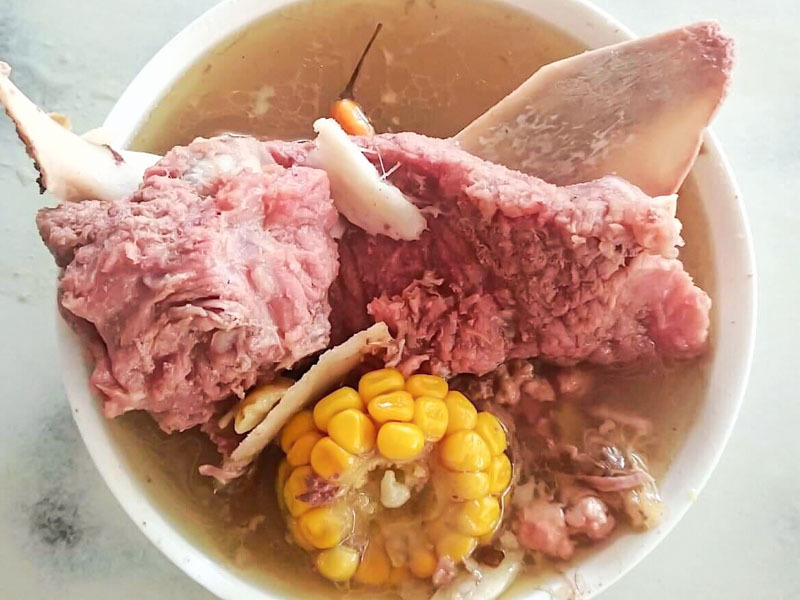 There is nothing better than to indulge in a hot bowl of beef soup during cold weather. Some other Filipinos might know of this dish by its other name, Bulalo. But as it is now, Cebuanos have made it their own by incorporating their own local flavour. There are several restaurants in Cebu which have become institutions for their Pochero dish. You can even try the sizzling version, which is served with gravy rather than soup, but features the same rich taste. All around the city, you will find flourishing stalls which serve this street food. 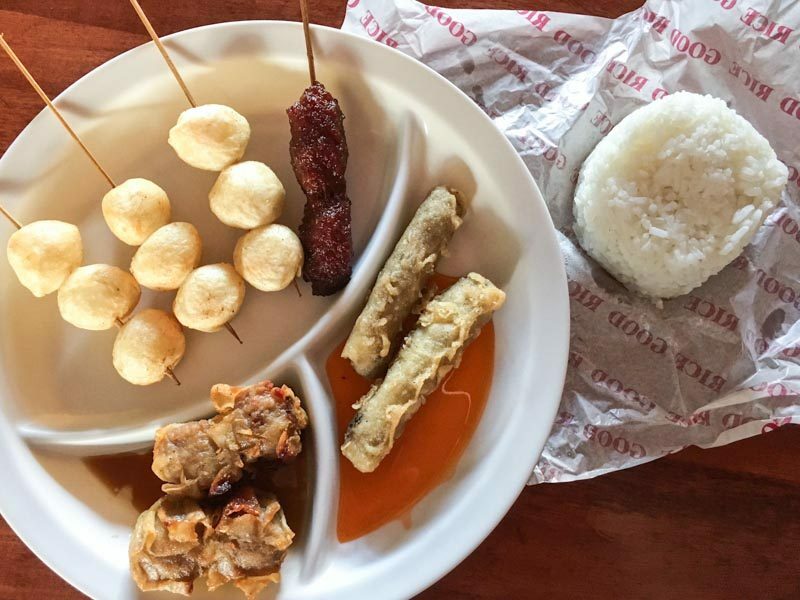 Check out the Siomai sa Tisa restaurant while you are in Cebu for an invitation to Siomai heaven. 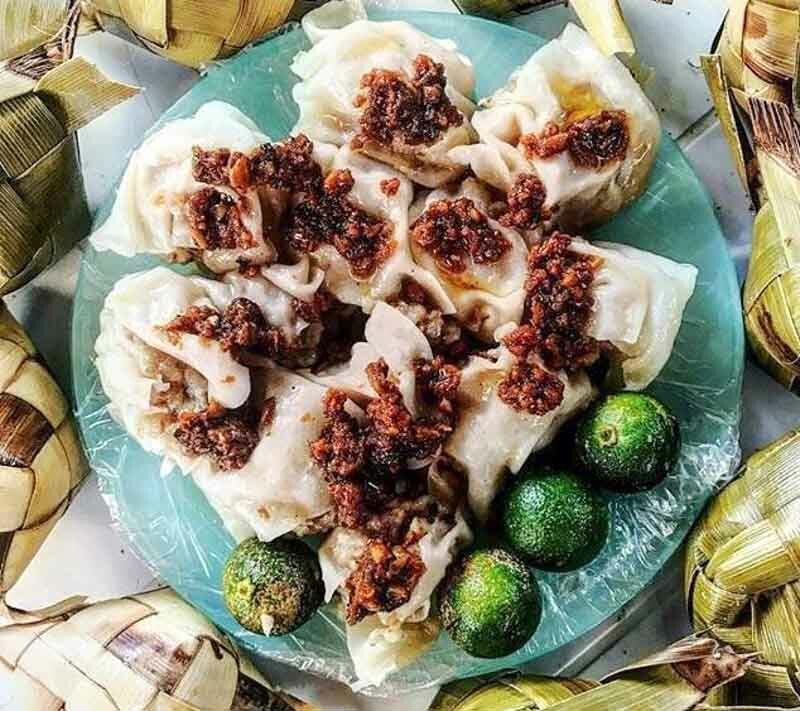 Besides notable restaurants, Siomai can usually be found in hawker-style eateries and are popular for those looking for a warm, filling snack on a budget. Choose among the steamed or fried varieties, and enjoy! This staple is comparable to the famous spring roll, and it’s deep fried and mainly made of Ubod (bamboo shoots) and ground pork. Each place has its own unique mix of Ngohiong, so don’t expect them all to be the same. You can eat them with other well-known street foods like squid balls, tempura, chorizo, and many more. With its strong flavour, this dish goes really well with a bowl of rice. Sutukil is a local wordplay on “Sugba” (grill), “Tula” (stew), and “Kilawin” (to cook in vinegar). Basically, the concept of this is that you get to pick one fish for example and have it cooked in three different ways. Tourists have grown very fond of this local style because it allows them to sample the different styles all at the same time. 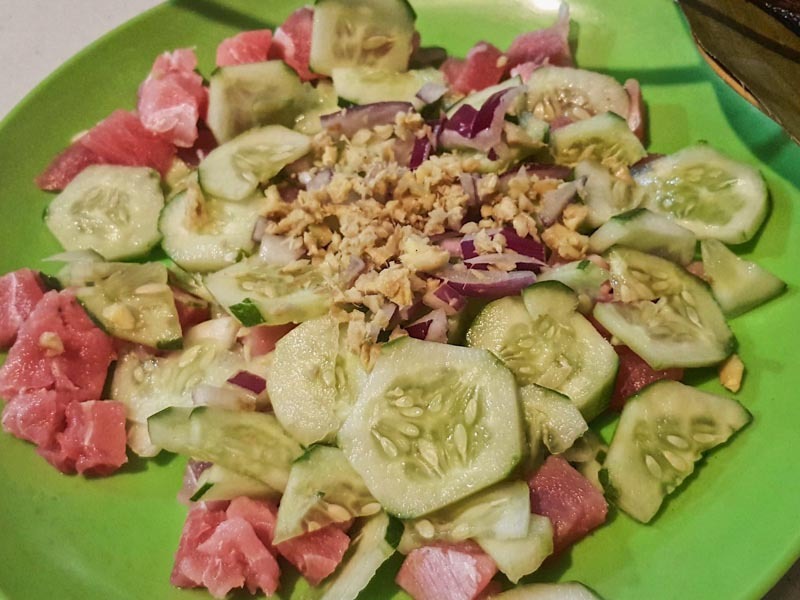 One must-try is the kinilaw, the local version of sashimi! The best part is that since they are cooked by locals, these dishes will not be commercialized, and tourists are able to taste the best of what Cebuano cooking has to offer. This odd combination works surprisingly well. 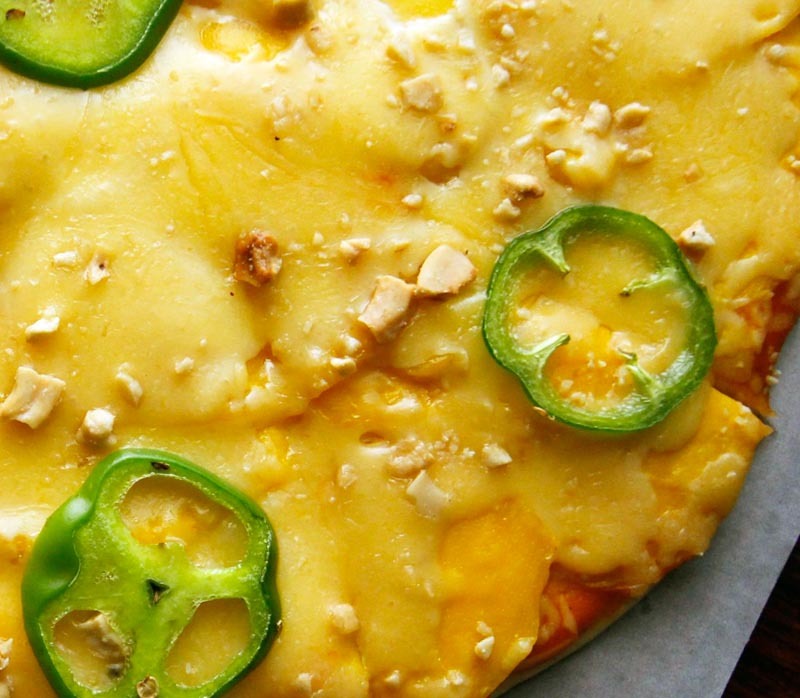 This one-of-a-kind delicacy is made from mangoes, cashew nuts, green bell peppers, and of course, cheese. This one might be a hit or miss for some food lovers with its sharp flavours. Be prepared for the sour and spicy, but also sweet taste that this pizza will give. Cebuanos love their grilled food, and this is clear from the barbecue restaurants all over the city. From pork, fish and chicken, you can choose your favourite meat, and have it grilled fresh. It makes for a great meal when you want to try the best of what Cebu has to offer. Each restaurant usually has their own blend of sauces and style of cooking, so you won’t be bored even as you try out different places! This is another one of the cheap eats you can try without breaking the budget during your vacation. A popular breakfast in the region, Puto Maya is made from glutinous rice mixed with ginger and coconut. This is usually paired with “Tablea”, concentrated cacao with added sugar and the famous Cebu mango. With the blend of sweet and savoury, every bite promises a mixture of all things good. Grab one and you are all set for the day of indulgence ahead. 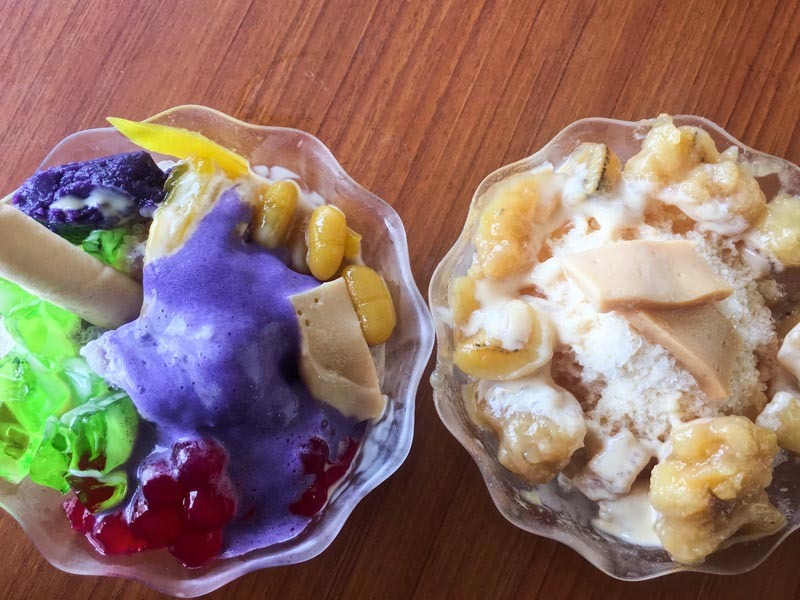 While other countries have their shaved ice, the Philippines also has its own version called Halo-Halo, literally meaning “to mix”. 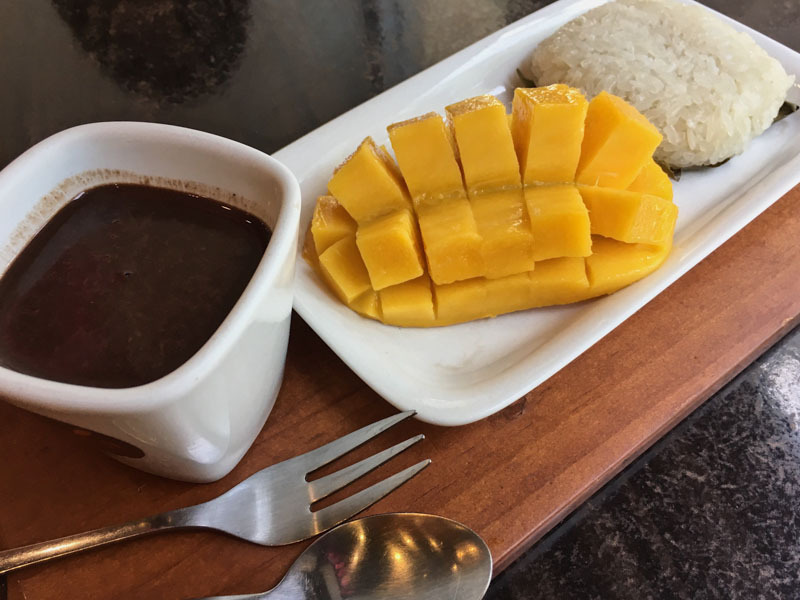 This dessert is made up of different types of ingredients like tapioca, gelatin, banana, Ube, milk, beans, leche flan (pudding), and many more. They are all then mixed together into a dessert dish of epic proportions. Each restaurant prepares their own version so make sure to give them a try after eating a hearty meal of Cebuano food. Are you convinced to make your way to Cebu yet? These eats are merely the tip of the iceberg because there is still so many more to discover! The unique and local flavours will assure you of a great overall vacation. The local food scene will always give you a glimpse of culture so try to mingle with the locals as you enjoy your stay in this quaint island. For more destination guides and accommodation reviews, check out Trip101.